Amber resin oil is derived directly from the fossilized resin. Amber has been used around the world for jewelry due to its color and appearance. When Amber is crushed, it turns into a powder that has a warming aroma. 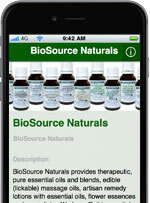 It is then mixed with a carrier oil to create what is sometimes referred to as an essential oil. It is often blended with other essential oils so there are a variety of scents of products sold as Amber oil. Amber oil can be used to support a variety of health benefits. The aroma, when used in a diffuser, is capable of helping one get a good night sleep. Many claim that the amber oil is capable of spicing up their love life by acting as an aphrodisiac. Amber oil has also been used as a natural remedy for muscle aches and pains due to its analgesic properties. Amber oil encourages harmony and balance and helps to calm the mind. See our references at the bottom of this page for further information. 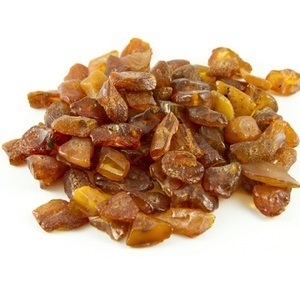 Amber resin oil blends well with orange, frankincense, and lemon. For massage, amber resin oil can be mixed with a carrier oil and massaged into the skin. For a steam bath, mix a few drops of amber resin oil into hot water. For relaxation, add 2 drops each of amber and lavender essential oils into a diffuser. For perfume, mix a few drops of amber with benzoin as the base. Add 2 drops of vanilla. Amber resin oil is safe and nonsensitive. “I really like the scent of this oil. It’s very strong and more woody/earthy than the typical amber that I’m used to, but I still like it. I have it in a diffuser in my car and it smells really nice and lasts a long time. This bottle should last me a very long while. :)” – A.A.
“I’m enjoying the product.” – L.A.K. “I have ordered three unusual oils from this seller. I have been happy with all of them. Always prompt shipping and well packaged. Thank you” – M. T.
“Excellent choice in Amber oil. I will definitely re-order when necessary and recommend this product to others seeking such.” – K.M. “Speedy transaction and well packed item as described by company. A+” – K.P. “Amazing scent!! Great quality!! Will buy again for sure!! Thanks! !” – B.C.